Heights and ledges are a major part of any map. Everybody who isn’t a scout, soldier, or demoman is going to find something that limits their movement, and learning to find a way around that is a part of every learning curve. Except when it isn’t. Sometimes there is a trick to reaching faraway places. Here’s a few of them. 1. 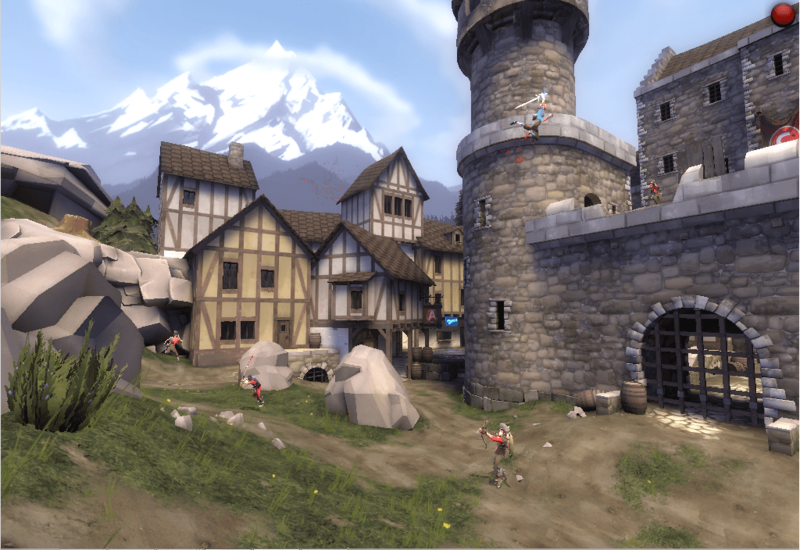 From the ground to the castle sniper deck on cp_degrootkeep…as a scout. Yeah, when you think of “classes with limited movement” scout is not exactly what comes to mind…but surely even he can’t reach the sniper catwalk from the ground? That’s like…a long way away! Well he can. With some help from that rock the demoknights ramp up, Crit-a-Cola, and the Boston Basher. Seriously. I thought this was so cool when I found out. The Crit-a-Cola gives you a speed boost while under its effects. 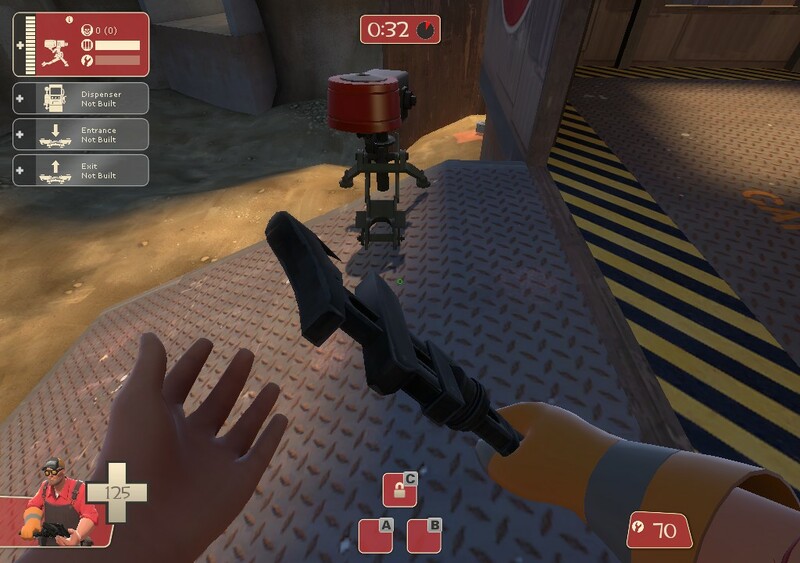 The Boston Basher makes you jump further if you swing it at the same time you press the ‘jump’ button (default space). Combine these two, and you can double-jump from the ramp-able rock pile to the castle walls. I’d recommend your next step is to grab that health kit down the ramp and around the corner, but what happens to you (or the snipers up there) is your choice at this point. 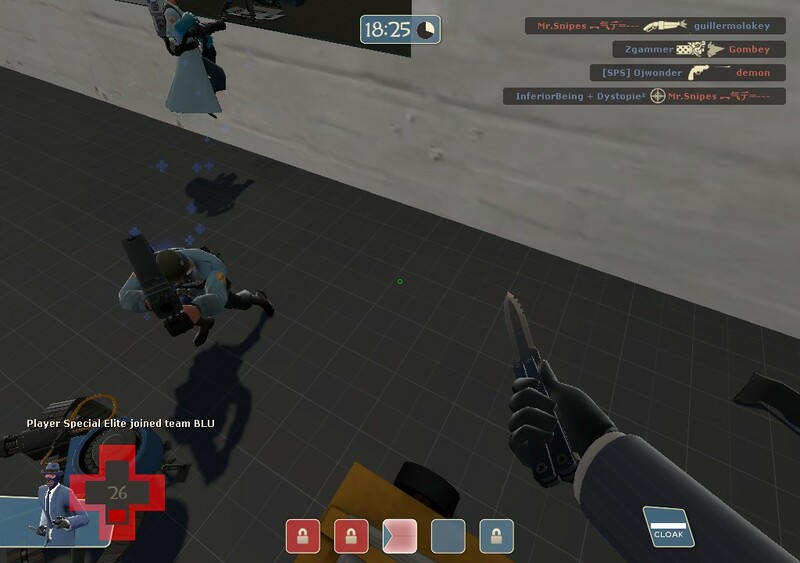 By the way, this technique is known as “Basher Jumping” and is a very important tactic in competitive TF2. There are several good Youtube videos showing popular competitive maps and where Basher jumping helps you out. 2. The roof of Point B on Gravelpit before setup ends…as an Engineer. Most matches of gravelpit I’ve played, offense takes A and then struggles with B. That means that if you lose B too quickly, this doesn’t bode well for the rest of the round. Give your team the boon to ensure you can hold B with this trick. Has to be pretty precise. It gets easier with practice. Jump on it, then crouch-jump onto the ledge. Then you can crouch-jump onto the roof and build a teleporter exit, followed by whatever you like. Helps out your whole team, and gives the enemy team a major headache. He excellently demonstrates the use of such a spot. Nobody will ever see your ambush coming…at least the first time. 4. The spawn of cp_orange_x3…as any class. Most respectable TF2 players shun this map like it’s hell itself…and for all we know, it could be. (If it is, we can forgive Milton for getting it completely wrong.) It’s horrible to play as anybody (except a certain demo subclass), and one of the worst reasons is that there are no health packs and the spawns are elevated; once you’ve left them, you can’t get back in unless you can double-jump or explosive jump. …or are on BLU team. Yes, next time you play orange, check out the fine points of the geography and you’ll realize the map is not actually symmetrical. (This is most evident by observing what parts of the floor around the tower are plaid and which are stone). The most game-changing bit comes with the wheeled ramps that lead you up to the square sniper stands on both sides. On the BLU side, standing on the ramp and jump-crouching will let you barely land in spawn if moving GRU-speed or faster. This does not work on RED side unless moving at 115% speed or faster (that would be a Powerjack pyro or Eyelander demoknight with 3 heads). Someone tell that medic that the jump to spawn is over here. Fun fact: It’s not just orange with small differences like this. ctf_2fort has grates on the first floors of both bases, but RED’s dirt floor under the grate is uneven. This allows detonator pyros to jump onto the second floor through the grate only on RED side. One of the BLU lamps in granary isn’t solid, meaning only RED team can use them to reach the second floor before last. I could write an entire blog post just on these infinitesimal changes. In fact, I think I will. The Pyro should remain a mystery.